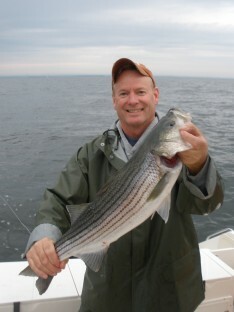 Free Fishing Reports > Northeast > New York > North Shore > Rick and Rich have a fun Trolling bite!!! This afternoon, Rick and Rich joined Capt. Skip for a quick afternoon hit, looking for some Bass. 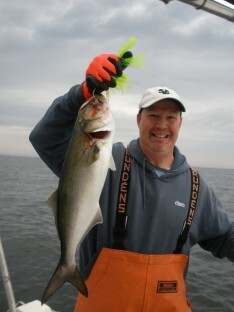 The crew covered a lot of area by trolling wire line and were not to be denied! Mixed in with all the Blues, the crew managed a few Bass to 30″ and a few short fish. Hopefully, this is a sign of things to come along with opening day Blackfish next week! The Big Meat with one of many Blues!